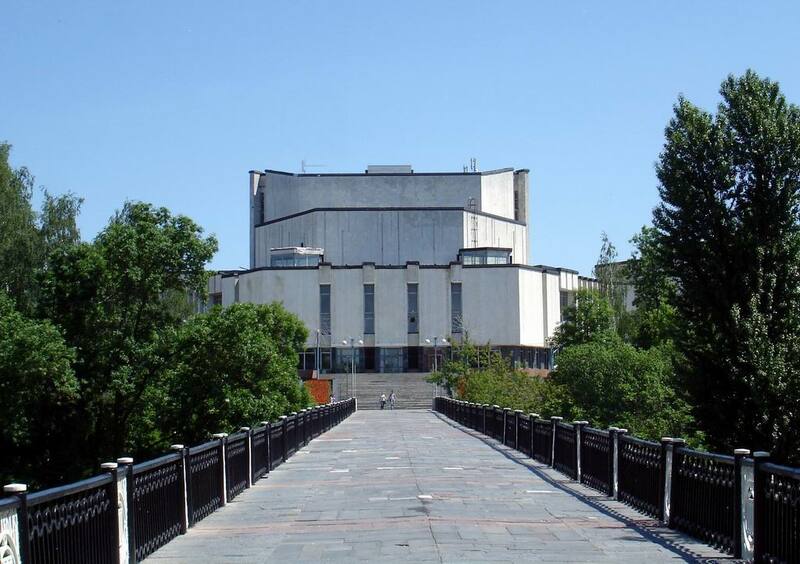 Cultural and Business Centre "Vitebsk": podium for the arts. Cultural and Business Centre "Vitebsk" has long been unofficially adopted by a gathering place for lovers of art and creativity, which, along with festivals holds both exhibits of contemporary art and industrial exhibitions. 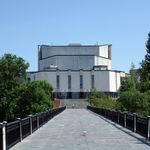 And this is all because here built the largest indoor stage in Vitebsk perfectly complemented by the original interior and unusual architecture of the building. The architecture of Vitebsk is so rich and diverse in attractions that never ceases to amaze. It impresses with its form, content, external design. Therefore, even residents of Vitebsk open daily uncharted pages of the life of the city. If you ask the real connoisseurs of art, what to see in Vitebsk, they do not hesitate to answer – Cultural and Business Centre "Vitebsk". And this is clear: the centre has long been a local art-podium. Now and then not only numerous exhibitions, festivals and concerts, both local and international level are held here but also classes in different sections – as you can see, the culture of Vitebsk is rich in events. But it is better to see once, because acquaintance with Cultural and Business Centre "Vitebsk" will give a lot of pleasant experiences that will forever be with you. After all, the centre has long been the ornament of the city of Vitebsk exquisite landmark. Particular beauty, grandeur and solemnity of the building are added by successful location: Cultural and Business Centre "Vitebsk", lulled by the soothing whisper of leaves, cozy hides in Frunze Park. And the Vitba River modulates with clear voices nearby... Although there are very, very much such facilities in tourist Vitebsk. However Cultural and Business Centre "Vitebsk" appears the greatest value from the architectural point of view of the modern city. The building was constructed relatively recently - in 1988, but in the history of Vitebsk has not unnoticed this fact. The construction of the facility has given a new round of development of the culture of Vitebsk. Particular attention should be paid a very spacious lobby of the concert hall, which can be converted into exhibition pavilion, if necessary. At the same time Cultural and Business Centre "Vitebsk" is designed so that all exhibits are in unusual natural lighting. 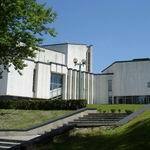 Therefore, the centre plays a special role and importance among other architectural facilities in Vitebsk. The auditorium is the Cultural and Business Centre can easily hold more than 1100 people. Today is the largest indoor ground in Vitebsk. Pit, comfortable lodges, modern stage equipment – there are all necessary ingredients for a good rest. The small hall with a chamber stage holds not only concerts, today it is a favorite meeting place for participants of seminars and lectures students. For amateurs of active recreation Cultural and Business Centre "Vitebsk" includes a dance hall, which holds up to 500 people. If desired, you can continue acquaintance with other sights of Vitebsk, which are descibed a little bit more at the city portal VitebskCity.by. For example, enjoy quiet whisper of Frunze Park, you can leisurely stroll to the Museum Private Collections and learn about its amazing exhibits. Nearby there is an unsurpassed monument of the architecture of Vitebsk – the City Hall and you can see the Building of the Veterinary Academy (Former Land-Peasant Bank). 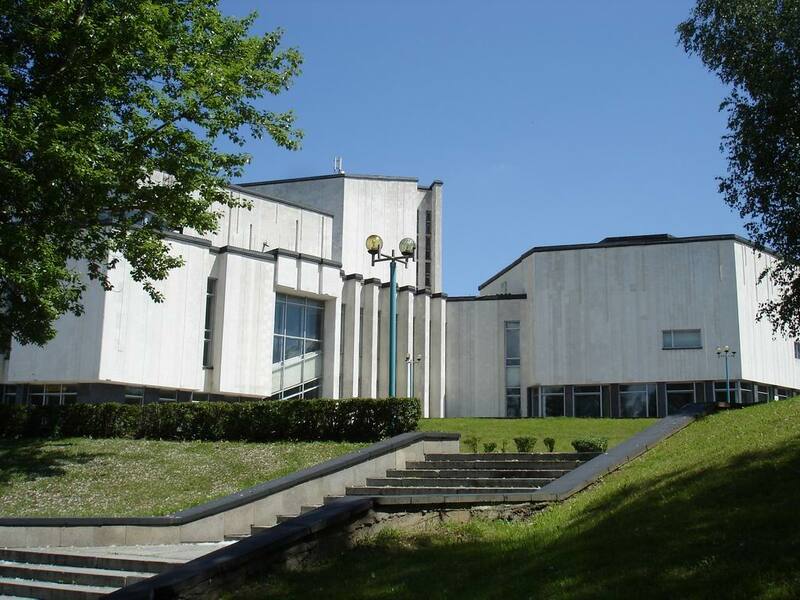 Address Cultural and Business Centre "Vitebsk": 1 Frunze Park.